Interview with Elena Bereznaia (EB) and Anton Sikhuralidze (AS) by Mr. Boris Khodorovsky (BK) a correspondent of the Russian Language Newspaper "Izvestia", published on December 29, 2004. EB: We are trying not to lower the level of our achievements, even though we became professionals. We are not focusing on complex elements, but we are practicing the new programs with pleasure. AS: The idea for this number was thought up by our friend, who had no relationship to figure skating. 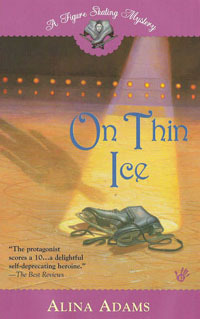 The transfer to the ice was helped by Peter Tchernyshev, the ice-dancer and multiple-time champion of the USA with Naomi Lang. Peter is a native of Petersburg and, when he came to visit his parents in the summer, he worked with us. I was so pulled into the producing process, that I even changed my return ticket to America. It was necessary to bring the program to a completion. 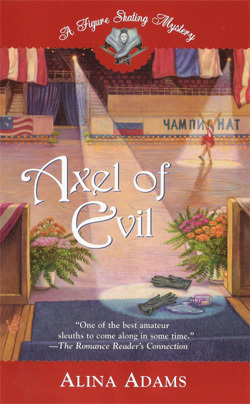 BK: What has compelled you to accept Irina and Ilya's invitation (to skate in Lobacheva & Averbuch’s farewell show)? EB: For a long time we were members of the Russia national team together. Whatever has been said about mutual relations of figure skaters, our team was friendly. AS: We always perform with pleasure in Russia in front of the native public. We are accepted nowhere so enthusiastically, as at home. It was pleasant to see the stands of "Luzniki" filled up to capacity. In Petersburg a full house for an ice show surprises nobody, but I was told it was the first time such a result was achieved in the capital. I can only take off my hat before Ilya and Irina, who presented the public with a holiday. BK: Lobachova and Averbuh have admitted that they deliberated for almost two years whether to remain in amateur sports up to Turin. Did you have an idea to try to protect the title that you won in Salt Lake City? EB: For a whole year we struggled with temptation, and did not leave amateur sport. Our coach, Tamara Nikolaevna Moskvina, also suggested not to hurry. Perhaps, if it was possible then to find a sponsor who would agree to finance our preparation, we would have done it. Although now we understand what a high level of weariness we accumulated during performances in amateur sports. Being a professional is easier. There are no such stresses. BK: Don’t you miss the competitive adrenaline rush? BK: How has the "ice scandal" in Salt Lake City reflected in your professional career? EB: Everything that occurred in the Olympics has no relation to us or the Canadians. It was a struggle of politicians from sports, heated up by the American and Canadian press, especially TV. We always had perfect relations with Jamie and David. They understood that we were not guilty in the scandal that happened there. AS: From the very beginning of the scandal, Tamara Nikolaevna told us, "No matter how things turn out, they do not have the right to take the medals away from you." Though at first I was in a shock. Especially when I learned how the American press had spun the situation! It sounded as if some unknown Russians came in off the street, skated somehow, and the French judge gave them a superfluous first place. It was unbelievable that the press was able to put such pressure on the IOC so as to get for "their own" the highest Olympic award. Perhaps, after becoming professionals, we are still getting dividends from events of almost three-year past. Any scandal draws attention to his participants. BK: Is it possible to compare Russian shows with the American ones in which you now perform? AS: In America, all is put in a moving process: over sixty performances in a non-stop mode. Now, over the ocean, figure skating is in decline. 60 cities - and not a single full hall. Organizers are pleased if 7-8 thousand spectators would come. People are frightened after September, 11. They are afraid to go to large gatherings. EB: For us, performing in the American shows is simply work. When we trained in the USA, before the Olympics, we even had a permanent place to live there. Now nothing left of that. We spend our nights in buses and hotels. BK: Are you considering presenting spectators with your own show? EB: We have some ideas, but we do not have time to engage in its organization. We shall even celebrate the New Year in Japan, where performances with our participation are planned. 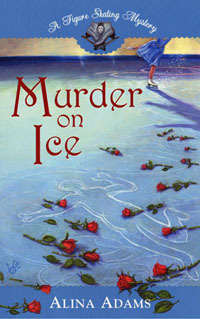 For a chance to win copies of “Murder on Ice” and “On Thin Ice,” please visit www.AlinaAdams.com. Translated by Genrikh Sivorinovsky, Ph.D. Ignel Associates, Gsivorinov@aol.comTranslations and web content services in real time.